This is a music book writen for Piano/Vocal/Guitar. 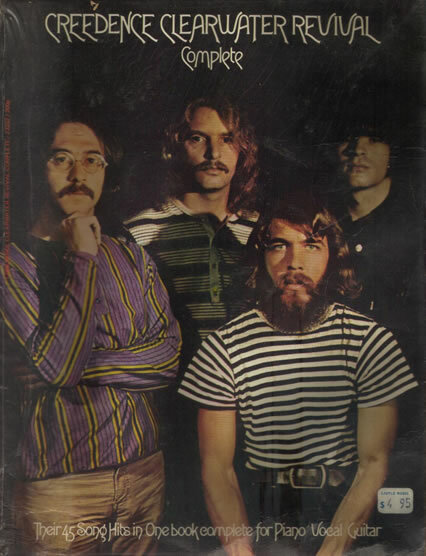 It contains 45 hit songs including "Bad Moon Rising", "Fortunate Son", "Proud Mary" and many more. It also contains several pages of written inormation about the band and many pictures. Book has a clear plastic cover and where it has been sticky taped down it has left a brown mark on the page next to it. The cover has some minor wear. The first inside page has a stamp of the shop it was baught from and someone has written their name on there as well. It is a softcover.